How does the mirror work ? Step up to our ‘selfie’ mirror, simply touch the screen to start, follow the animated prompts and strike a pose! – that’s it. Our ‘selfie’ mirror is literally head and shoulders above the traditional Photo Booths that have been doing the rounds for some years now, and although they are still great, the ‘selfie’ mirror (MSM) has the most advanced digital photographic technology that is up to date and catered for you to have the traditional take-away ‘selfie’ picture or simply upload your instant picture to social media for the world to see what fun you’re having NOW ! Your special friends or guests will be invited to the mirror by our attendant where they and our ‘selfie’ mirror will interact together. Talking, singing, dancing, waving and even touching the mirror are all permitted ! 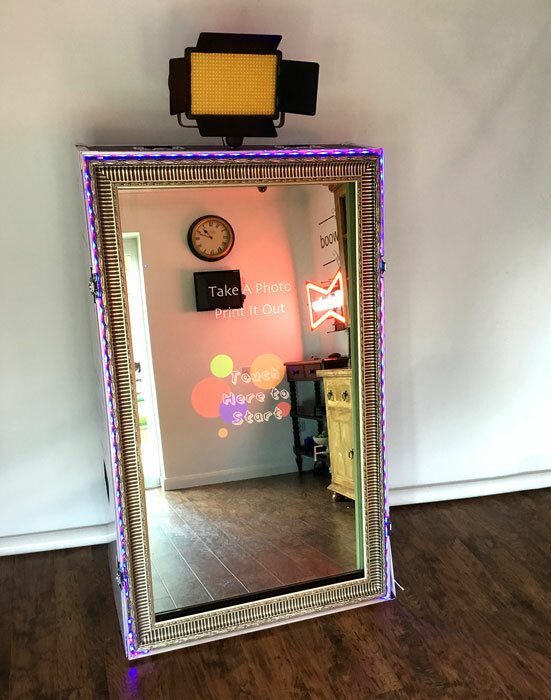 Our ‘selfie’ mirror is very complimentary to your guests and doesn’t bite. It will guide them through the fun experience, they can even write a personal message to you about what great fun they are having at your party, printed out in superfast time.